Nova Scotia Supreme Court Justice Josh Arnold signed a permanent injunction Tuesday barring fishermen from blockading a potential pulp mill discharge pipe in the Northumberland Strait. Northern Pulp lawyer Harvey Morrison indicated outside court that the injunction prevents blockades related to the planning of a proposed route for an treated effluent pipe and and diffuser. "It doesn't apply to construction," Morrison said. In December, Northern Pulp obtained an interim injunction after fishermen repeatedly blocked a boat hired by the mill to survey a proposed pipeline route. This new permanent injunction prevents the fishermen from "obstructing, impairing or interfering with the rights of navigation of Northern Pulp Nova Scotia Corporation or its contractors" and "any proposed route of the effluent pipe, and any proposed diffuser location by means of vessel blockades or similar activities." Under legislation passed in 2015, the provincial government has committed to closing the pulp mill's current wastewater treatment site in Boat Harbour by Jan. 31, 2020 — one year from this week. The wastewater is mainly treated effluent from the Northern Pulp mill, where a proposed plan would see more than 62 million litres per day pumped directly into the Northumberland Strait once Boat Harbour is closed. That decision has enraged local fishermen, who have staged large protests and prevented the mill's seismic survey work on the strait. On Monday, Northern Pulp issued a statement saying the fishermen have agreed to comply with a court injunction that prohibits them from blocking seismic survey vessels hired by the mill. It explicitly bars them from disrupting any geotechnical and videographic surveys in those waters and also bars them from abetting or encouraging others to blockade access on the water. 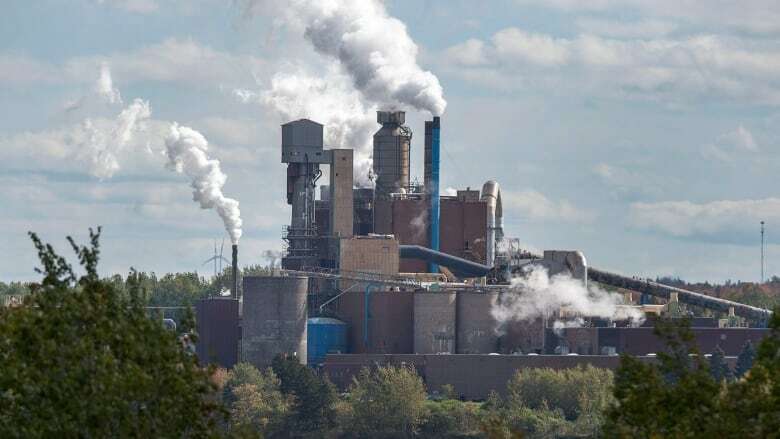 Lawyers for Northern Pulp and Pictou County fishermen reached an agreement last week. The fishermen consented to a permanent injunction and the mill agreed to drop a civil suit against them. But the consent agreement was not sent to the court by the fishermen's lawyer, Charles Thompson of Truro, which lead to confusion and a delay Tuesday. When the lawyers were a no-show for Tuesday's scheduled hearing in Halifax, the court clerk reached them and both were able to appear — Thompson by phone and Morrison in person. Justice Josh Arnold said he was prepared for a two-day hearing on the permanent injunction, which included numerous affidavits, a brief and 35 legal authorities forwarded to the court. "I was anticipating that the matter would be proceeding today. I received no notification otherwise. Counsel did not appear this morning," Justice Arnold said. Thompson took the blame for the confusion and both lawyers apologized to the court.